Welcome! Like the online gallery, the Animal History Museum plans to make the online library an important part of our mission and a vibrant, integral complement to our physical collections. We look forward to adding works and excerpts by noted authors, our advisory council members, exhibit developers and others in the years to come. Please stop by frequently to see what’s new! In the songs and bubble feeding of humpback whales; in young killer whales learning to knock a seal from an ice floe in the same way their mother does; and in the use of sea sponges by some Australian dolphins to protect their beaks while foraging for fish, we find clear examples of the transmission of information among cetaceans. Just as human cultures pass on languages and social norms, could whales and dolphins have developed a culture of their very own? Unequivocally: yes. 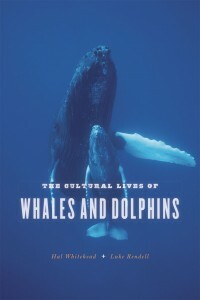 The Cultural Lives of Whales and Dolphins opens an astounding porthole onto the fascinating culture beneath the waves. Cetacean biologists Hal Whitehead and Luke Rendell dive into realms both humbling and enlightening as they seek to define what cetacean culture is, why it exists, and what it means for the future of whales and dolphins. And, ultimately, what it means for our future, as well. Just click on the cover logo to your left to “dive” into a fascinating peek into the watery world of our cetacean neighbors. If you’d like to learn more about The Cultural Lives of Whales and Dolphins, or find related works, you can visit the publisher’s website. Reprinted with permission from The Cultural Lives of Whales and Dolphins by Hal Whitehead and Luke Rendell, published by the University of Chicago Press. © 2015 by The University of Chicago. All rights reserved. Authors BettyLynn Egan and Gail J. VanWart have walked a wallaby and acted as surrogate mothers, trainers, and educators for many animal species. They’ve cuddled lions, tigers, and bears and lived with a chimpanzee. The two women share a history going back to 1973 that’s filled with unique experiences because of School Jungle Safari. School Jungle Safari is a wildlife preservation and education program that Betty and her husband, Lou, operated in California — where animal residents were wildlife ambassadors. The women believe it is their destiny, some forty years later, to preserve the legacy of those animals. Their memories hold valuable lessons for newer generations. Who is a Chimpanzee? is two books in one. Colorfully illustrated by Debbie Story Alexander, the fun story about a chimpanzee, suited to children ages 3-6, flips over to tell the real life story of the chimp featured. The first in a planned series, this innovative flipbook is scheduled to be released in October of 2014. Even better: for every two copies sold, the publisher will donate a third book to a school or library of the buyer’s choice. Click on the cover for a sneak peak of the series’ style. To learn more about the authors and the School Jungle Safari series, visit their website. 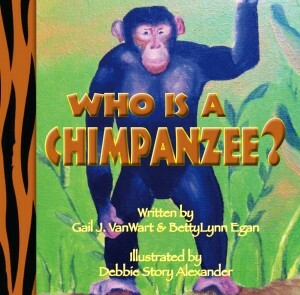 Excerpted from Who is a Chimpanzee? @Copyright 2014 Gail J. VanWart & BettyLynn Egan. ISBN 9780984820634 Reprinted by permission of Out of the Blue LLC publishers. All rights reserved. Ever feel like you don’t fit in? Ever look around and wonder – make that worry – that everyone around you is judging you? Grown-ups know that we all feel that way sometimes. But how to explain that to a kid? Montague: The Pit Bull of Park Avenue can help! Set in the posh backdrop of a toney Park Avenue home in Manhattan, Montague struggles to fit in after he’s rescued by an upscale New Yorker. He escapes his new digs and sets off on an adventure of romance, peril… and self-discovery. Insightful written by author Mary Gregory, Montague contains layers of messages that children can relate to – and the adults in their lives can help discuss. The book is also beautifully illustrated, with 21 paintings created just for Montague by artist Roger Kabler. 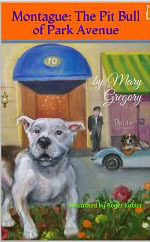 Click on the cover to enjoy an excerpt from Montague: The Pit Bull of Park Avenue. For more about the book, Mary or Roger, visit their website here. Excerpted from: Montague: The Pit Bull of Park Avenue by Mary Gregory and Roger Kabler. Reprinted by permission. Copyright © 2013. All rights reserved. A book on poo, you ask? Yes, we respond enthusiastically! Why, you continue? Why not! We begin our children’s collection with one of our favorite children’s book author/illustrators, Lynn Chang. With the help of Taro Gomi’s Everyone Poops, the world came to terms with the fact that Number Two is natural. Still, will we ever get over the crazy places and ways that pets leave presents? 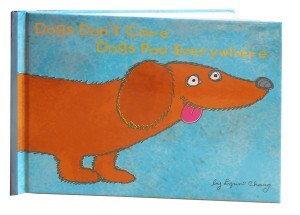 In this whimsical new illustrated book, Lynn brings the focus to the much-beloved canine and the universal experience of finding his not-quite-so-beloved poop. Follow the trails of your favorite greyhounds, pugs, beagles, and beyond… and give back to them too. 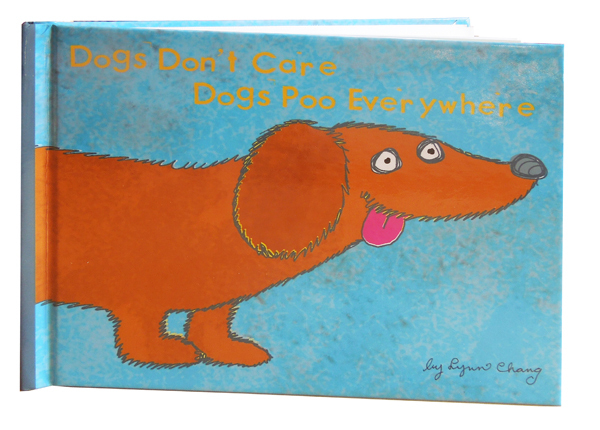 Originally released in conjunction with National Puppy Mill Action Week, “Dogs Don’t Care, Dogs Poop Everywhere” donates a percentage of each sale to various pet rescues, saving homeless dogs in need. Lynn Chang is an accomplished children’s book author and illustrator of over fourteen books. Her published titles include The Break-Up Activity Book (Prospect Park Books), Look at Me! Animals (Chronicle), Costumes for Your Cat (Chronicle), and Disguises for Your Dog (St. Martin’s). Click on the cover for a peek at Lynn’s irreverent, fun-for-all-ages sense of humor. To learn more about Lynn and “Dogs Don’t Care,” click here. Excerpted from: Dogs Don’t Care, Dogs Poo Everywhere by Lynn Chang. Reprinted with permission of the author. Copyright © 2014. All rights reserved. 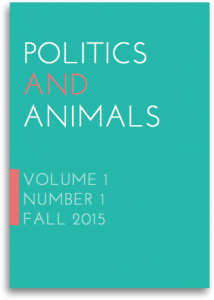 Politics and Animals is a peer-reviewed, open access journal exploring the human-animal relationship from the vantage point of political science and political theory. Based at Lund University in Sweden, the journal hosts international, multidisciplinary research and debate — conceptual and empirical — on the consequences and possibilities that human-animal relations have for politics and vice versa. Politics and Animals covers topics of interest to academics from the humanities, the social and natural sciences, as well as policy and law makers in animal-related areas and a general audience interested in animal issues and advocacy. The journal aims not to favour any particular perspective over another, but instead to establish a place for debate. It brings to light the in- or exclusion in the political arena of animals as species and as individuals, the attribution of shares, rights and obligations for and in relation to animals, and the evaluation of competing claims and claimants. The main concern of Politics and Animals is therefore, most generally, to introduce political inquiry into the politics of the human-animal relationship, from the vantage point of political science and theory. The Animal History Museum is thrilled to be able to add Politics and Animals to our growing online library from the very first edition! Just click on the logo to the left to enjoy the articles as well as learn a little more about the team and philosophy behind the writing. From the time of our earliest childhood encounters with animals, we casually ascribe familiar emotions to them. But scientists have long cautioned against such anthropomorphizing, arguing that it limits our ability to truly comprehend the lives of other creatures. Recently, however, things have begun to shift in the other direction, and anthropologist Barbara J. King is at the forefront of that movement, arguing strenuously that we can — and should — attend to animal emotions. 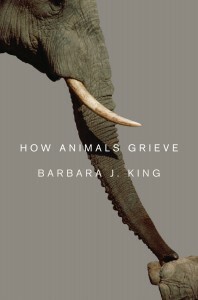 With How Animals Grieve, she draws our attention to the specific case of grief, and relates story after story — from field sites, farms, homes, and more — of animals mourning lost companions, mates, or friends. Just click on the cover logo to your left in order to enjoy a chapter from this seminal work. If you’d like to learn more about How Animals Grieve, or find related works, you can visit the publisher’s website. Published by the University of Chicago Press. © 2013 Barbara J. King. All rights reserved. “A house without a cat, a house without cheerfulness or laughter,” says an old Gaelic proverb. Cats have been our frolicsome friends and staunch companions for centuries. Their loving humans, both humble and great, have returned the favor in their letters, poetry, and folk wisdom. Here’s a look at some vintage sources of those lives, times and stories of cats past, from the archives of The Pet Museum. Just click on the logo to enjoy an excerpt from Puss in Print. If you’d like to read more from this delightful collection, it’s available at the click of a mouse. (Could that be what this cover cat is staring at, we wonder?) Find it on Amazon as well as Barnes and Noble. Excerpted from: Puss in Print: A collection from thepetmuseum.com, by Andrée Larson. Reprinted by permission. Copyright © 2015. All rights reserved. In her new non-fiction book Author Judy Fridono weaves the true story of a dog who went from puppy prodigy, to service dog dropout, to inspirational phenomenon… a beautiful golden retriever named Ricochet teaches us all that by following our hearts, we can live out our destiny, and become a force for good in the world. After suffering a life of loss, Judy Fridono began training service dog puppies to make a positive difference in the world. Her “puppy prodigy,” Ricochet, showed boundless potential surpassing every milestone. But out of the blue, the puppy with so much promise completely lost her focus to train, preferring to chase birds on the beach instead. Regretfully, Judy had no choice but to release Ricochet from the service dog program, leaving her disappointed and disheartened. But the presumed detour became a journey of infinite possibilities when Ricochet found her doggie destiny in the most unexpected of places: on a surfboard. When Judy finally embraced Ricochet’s true calling, amazing things began to unfold. Then the four-legged student became the teacher, showing Judy–and the world–just how much good one dog can do. Because of Ricochet’s gift, a teenager with a debilitating spinal cord injury received the much needed therapy to walk at his high school graduation; a young boy with autism finally found his voice; and a soldier trapped by post-traumatic stress regained his freedom. These, and many more inspiring stories, reveal how Ricochet is on a mission to transform countless lives by “pawing” it forward. She is the only SURFice dog® in the world that surfs with people with disabilities, kids with special needs, wounded warriors and veterans with PTSD as an assistive aid. A true pawtobiography about the healing power of an ordinary dog with an extraordinary spirit. Ricochet is a reminder to stay true to ourselves, celebrate our uniqueness, and appreciate the vast ocean of potential inherent in each of us. Just click on the logo to enjoy a chapter from Ricochet’s amazing story. 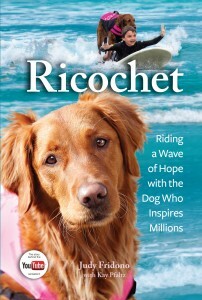 If you’d like to learn more about Ricochet, you can visit this surf dog’s website here. From Ricochet: Riding a Wave of Hope with the Dog Who Inspires Millions © 2014 by Judy Fridono. Reprinted by permission of HCI Books. All rights reserved. Sixty‐five million dog owners in the United States know that there is something about the presence of a dog that inspires confidence, nurtures emotional well‐being, and brings out our best. And for some people, a dog can do even more. 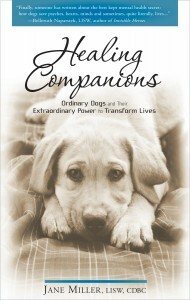 Written by the leading expert in an emerging new field of therapy, Healing Companions: Ordinary Dogs and Their Extraordinary Power to Transform Lives is the first book to explain how dogs can benefit survivors of emotional illnesses, from eating disorders and anxiety to agoraphobia, depression, and post‐traumatic stress. Besides real life stories of healing and transformation, Healing Companions presents practical advice on criteria to consider when choosing a dog, what to expect with a service dog in public, how dogs can complement other forms of therapy and more. A clinical psychotherapist with a private practice, and a licensed independent social worker, Jane Miller has a particular interest in holistic healing. She has lectured for national and local organizations, schools and dog‐training facilities, and has consulted with National Education for Assistance Dog Services, Canines for Combat Veterans, and for other veteran’s organizations. She appeared in the PBS program “Health Visions: Animals As Healers” and is a popular guest on local and national media. Just click on the logo to enjoy a generous excerpt from insightful book. If you’d like to learn more about Healing Companions or Jane Miller, you can visit this website. Reprinted, with permission of the publisher, from HEALING COMPANIONS © 2010 Jane Miller. Published by New Page Books a division of Career Press, Pompton Plains, NJ. 800-227-3371. All rights reserved. Cats and dogs were once wild animals. Today, they are family members and surrogate children. A little over a century ago, pets didn’t warrant the meager legal status of property. Now, they have more rights and protections than any other animal in the country. Some say they’re even on the verge of becoming legal persons. How did we get here—and what happens next? In Citizen Canine: Our Evolving Relationship with Cats and Dogs, pet lover and award-winning journalist David Grimm explores the rich and surprising history of our favorite companion animals and their changing status in society. He treks the long and often torturous path from their wild origins to their dark days in the middle ages to their current standing as the most valued animals on Earth. 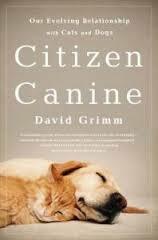 As he travels across the country, Grimm reveals the shifting social attitudes that have turned pets into family members, and the remarkable laws and court cases that have elevated them to quasi citizens. The journey to citizenship isn’t a smooth one, however. As Grimm finds, there’s plenty of opposition to the rising status of cats and dogs. Click on the book cover to enjoy an excerpt that looks at opposition from a place you might not expect. Who else opposes the push for personhood and how are the battle lines are being drawn? Click on the logo to enjoy an excerpt that offers what some may find to be a surprising answer. Click here to learn more about author David Grimm and his fascinating exploration of how this new age of pets is fundamentally transforming our relationship with these animals and reshaping the very fabric of society. Excerpted from Citizen Canine: Our Evolving Relationship with Cats and Dogs by David Grimm. Available from PublicAffairs, a member of The Perseus Books Group. Copyright © 2014. Many philosophers, including Aquinas, Locke, Schopenhauer and Kant, have assumed that there is a link between cruelty to animals and violence to people. During the last 40 years, evidence for this view has steadily accumulated as a result of statistical, psychological, and medical investigations, and there is now a substantial body of supporting empirical evidence. The Link Between Animal Abuse and Human Violence brings together international experts from seven countries to examine in detail the relationships between animal abuse and child abuse, the emotional development of the child, family violence, and serial murder. It considers the implications for legal and social policy, and the work of key professionals. Sections include critical overviews of existing research, discussion of ethical issues, and a special focus on the abuse of wild animals. This book is essential reading for all those who have a stake in the debate, either because their academic work relates to the issues involved, or because their professional role involves contact with the abused or the abusers, both human and animal, including child care officers, community carers, law enforcement officers, health visitors, veterinarians, anti-cruelty inspectors, animal protection officers, social scientists, lawyers, psychologists, and criminologists. The Link Between Animal Abuse and Human Violence is the most up to date, authoritative, and comprehensive volume on the link between animal abuse and human violence. Just click on the logo to enjoy a generous excerpt from this important work. If you’d like to learn more about The Link, author Andrew Linzey and his pioneering Oxford Centre for Animal Ethics, click here and here. 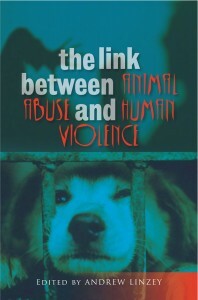 From The Link Between Animal Abuse and Human Violence © 2009 by Andrew Linzey. Reprinted by permission of Sussex Academic Press. All rights reserved. Just click on the logo to enjoy a chapter from this delightful tale (or should we say tail?). 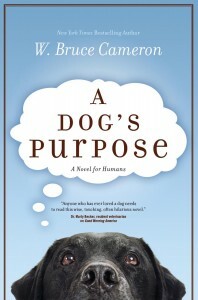 If you’d like to learn more about A Dog’s Purpose, author Bruce Cameron, or his other novels, you can visit Bruce’s website. Better still, educators can download a study guide based on A Dog’s Purpose and even apply for a grant to get copies for your students here. From A DOG’S PURPOSE © 2010 by Bruce Cameron. Reprinted by permission of Forge Books. All rights reserved. 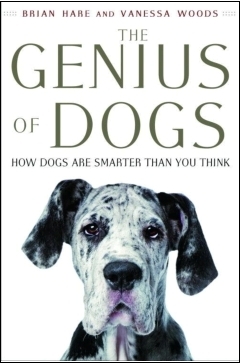 Dog researcher, evolutionary anthropologist, and founder of the Duke Canine Cognition Center, Brian Hare, along with Vanessa Woods, offer revolutionary new insights into dog intelligence and the interior lives of our smartest companion animals. In the past decade, we have learned more about how dogs think than in the last century. Breakthroughs in cognitive science, pioneered by Brian Hare, have proven dogs have a kind of genius for getting along with people that is unique in the animal kingdom. Brian Hare’s stunning discovery is that when dogs domesticated themselves around 40,000 years ago they became far more like human infants than their wolf ancestors. Domestication gave dogs a whole new kind of social intelligence. This finding will change the way we think about dogs and dog training—indeed, the revolution has already begun. Click on the book cover to enjoy the excerpt “Do Dogs Understand Our Words?” from The Genius of Dogs. Does that conversation go both ways? Click here to learn more about the book, the author and the Duke Canine Cognition Center. Excerpt from THE GENIUS OF DOGS © by Brian Hare and Vanessa Woods. Published by Dutton, A Member of Penguin Group (USA) Inc. Excerpted with permission from the publisher. All Rights Reserved. 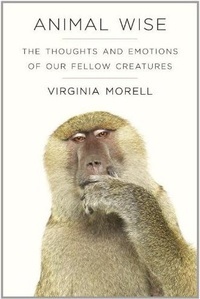 In Animal Wise, The Thoughts and Emotions of Our Fellow Creatures (Random House, Inc. 2013), noted science writer Virginia Morell provides an engaging and surprisingly moving overview of the latest research on animal cognition and emotion, which confirms that the inner lives of animals are far richer than previously understood. As recent studies convincingly show, insects, birds and mammals carry out actions such as planning and improvising, feel emotions such as grief, and maintain rich memories. Morell transports the reader to laboratories and field sites spanning the globe, and introduces the pioneering scientists and animal-cognition researchers performing this groundbreaking work, as well as their intelligent and sensitive subjects. The rapid growth of the field of animal science cognition is explored, while its controversial aspects are clarified. This more fully realized and more deeply nuanced understanding of the interior lives of animals will have-indeed, is already having-major moral and ethical ramifications for human-animal relationships. Click on the book cover to enjoy the excerpt from Animal Wise where the author visits with renowned scientist Dr. Irene Pepperberg and Alex the African Grey Parrot. Click here to learn more about Virginia Morell and her work. Reprinted with permission from Animal Wise: The Thoughts and Emotions of Our Fellow Creatures by Virginia Morell. Copyright © 2013 by Virginia Morell. From the book Animal Wise The Thoughts and Emotions of Our Fellow Creatures. (2013). Published by The Crown Publishing Group, a division of Random House, Inc. Reprinted with permission. The Tourist Trail is an Indie Discovery Award Winner about endangered species in the world’s most remote areas, and those who put their lives on the line to protect them. Against the backdrop of the Southern Ocean, The Tourist Trail weaves together the stories of Angela, a biologist accustomed to dark, lonely nights at a penguin research station in Patagonia, FBI agent Robert Porter, dispatched on a mission that unearths a past he would rather keep buried, and Ethan Downes, a computer tech whose love for a passionate animal rights activist draws him into a dangerous mission. 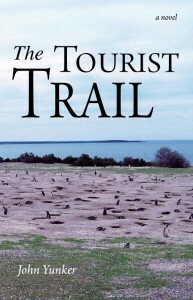 Click on the book cover to enjoy a generous excerpt from The Tourist Trail, or click here to learn more about both the book and the publisher. Excerpted from The Tourist Trail by John Yunker. Copyright (c) 2010 Ashland Creek Press. Used by arrangement with the publisher. All rights reserved. In Thinking Animals: Why Animal Studies Now? 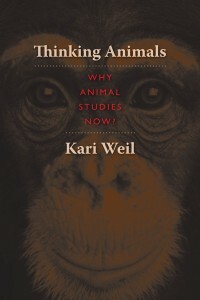 (Columbia University Press 2012) Kari Weil examines real and imagined confrontations between human and nonhuman animals and asks why it has become necessary to rethink the practices we engage in with animals and reevaluate the assumptions of difference that shape them. Holding a PH.D in Comparative Literature from Princeton University, Professor Weil has taught for several decades at some of the nation’s most prestigious universities, including UC Berkeley, UCLA, and Wake Forest University. She is currently University Professor of Letters at Wesleyan University in Connecticut. Professor Weil has authored or edited numerous essays and articles on gender, French feminism and, more recently, on theories and representations of animal otherness. She recently co-edited a special issue of Hypatia entitled, Animal Others (27.3, Summer 2012) and authored Androgyny and the Denial of Difference (University Press of Virginia, 1992) . Her current project is tentatively titled, ‘The Most Beautiful Conquest of Man’ (sic): Horses, Gender and the Conquest of Animal Nature in Nineteenth-Century France. 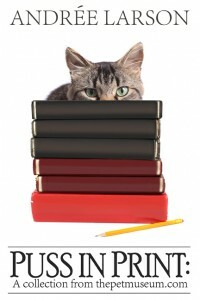 Click on the book cover to enjoy Chapter 3: Is a Pet an Animal? Excerpted from Thinking Animals by Kari Weil. Copyright (c) 2012 Columbia University Press. Used by arrangement with the publisher. All rights reserved. To read more of Thinking Animals, please visit the online magazine Berfrois. Relations. Beyond Anthropocentrism is a brand-new European journal showcasing the cutting edge of animal scholarship on a wide variety of issues. 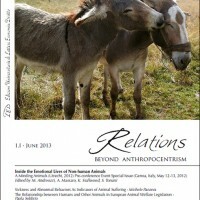 According to its creators, Relations “is a peer-refereed journal of trans-anthropocentric ethics and related inquires. The main aim of the journal is to create a professional interdisciplinary forum in Europe to discuss moral and scientific issues that concern the increasing need of going beyond narrow anthropocentric paradigms in all fields of knowledge. The journal accepts submissions on all topics which promote European research adopting a non-anthropocentric ethical perspective on both interspecific and intraspecific relationships between all life species – humans included – and between these and the abiotic environment. Just click on the logo to enter a whole new world of human-animal Relations! Global Animal is an online news magazine and social community for all things animal, from the beloved pet to exotic wildlife. It’s a virtual clubhouse for pet lovers and animal advocates worldwide to stay informed, be moved, be heard, and get involved. GlobalAnimal.org co-founders, Leah Lessard Jeon and Arthur Jeon, decided to create an online news magazine dedicated to connecting people to animals because there really wasn’t one. They were always bouncing around to get stories about different species – from tabby cats, to endangered african elephants, to the world’s last 750 mountain gorillas. They figured there might be others doing the same. Now, from the heart-warming daily “Cute Attack” videos to serious stories with their signature “Take Action Mouse” (no more feeling hopeless at bad news! ), Global Animal’s got it all right in one place. Just click on the logo to join the growing pack of wild voices celebrating animals around the globe! 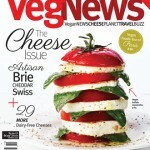 VegNews Magazine is the premier vegan lifestyle magazine in the U.S.. Less than a decade after its 2000 launch, the magazine is now a staple in bookstores and home kitchens, as well as the benchmark for the cottage industry of vegetarian magazines that it inspired. Named one of the “Best 50 Magazines” by the Chicago Tribune(#18) and the country’s “Best Lifestyle Magazine” in 2008, 2009, and 2010, VegNews is read by more than 225,000 people in 38 countries. VegNews serves up the latest in meat-free news, health coverage, recipes, travel features, timely interviews, vegetarian city guides, new products, practical tips, politics, celebrity buzz and more. In addition to its flagship publication, the media company also produces the award-winning VegNews.com, along with a collection of popular e-newsletters, blogs, cookbooks, events, and vacations. VegNews also has a demonstrated commitment to the environment, including printing on 75% post-consumer, recycled paper. Just click on the logo to the left and enjoy! The Australian Animal Studies Group is delighted to announce its new periodical, the Animal Studies Journal. Thisis a twice-yearly publication that provides a forum for current research in human-animal studies. The journal publishes cross-disciplinary content with a particular, but not exclusive, interest in Australia, New Zealand and Asia-Pacific scholarship. The journal, starting with the Fall 2012 inaugural issue, brings together a range of papers around the theme of animals and globalisation, including diverse work by animal studies scholars and artists ranging from diasporic giraffes to wandering albatrosses. This is a fully peer-reviewed journal publishing animal-studies scholarship, available online and free to access for all both on the AASG website and here – just click on the logo! Founded in 2000 by Janice Brown, TAILS is an interactive website, online community and print magazine that celebrates the relationship between pets and their people. TAILS features expert knowledge, advice, pet product reviews, local resource guides, community event listings and fun contests to promote and encourage people to live responsibly with their pets. TAILS’ unique distribution model combines the best of both worlds; assisting pet-lovers on a local level and connecting with pet people nationally. Readers can pick up the magazine free of charge at pet-related businesses and vet offices, grocery stores, health clubs, bookstores, coffee shops, restaurants, libraries, park districts and other “mainstream” locations. TAILS is currently available in over 10,000 individual locations. In 2005, the Journal of Animal Law became only the second law review in North America to focus on the emerging field of animal law. In less than a decade, this student-run and student-funded publication of the Michigan State University College of Law has been recognized as nationally ranked. It continues to provide a well-respected platform for serious scholarship on cutting edge theories and topics involving policy, ethics, litigation, issues and events ranging from the micro-local to the global, and more. The Journal is part of the vision of animal law scholar Professor David Favre, who is also the founder of M.S.U.’s Animal Legal & Historical Center, one of the largest web resources for animal law in the world. Just click on the ALHC logo to be taken to the index of the Journal’s archives and enjoy! While there, you can also browse through the toolbar to the left to access the Center’s continually expanding database of laws and legal cases, search by topic – such as “divorce/custody issues” or “horse issues” – and help support the Center’s mission. Thank you, Journal of Animal Law, for allowing the Animal History Museum the opportunity to link our visitors to your scholarship. 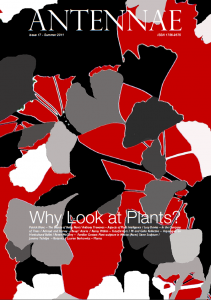 Our library c ollection begins, appropriately, with a link to one of the most creative, forward-thinking animal-related journals being cyber-published today: ANTENNAE The Journal of Nature in Visual Culture. The brainchild of Editor-in-Chief Giovanni Aloi, ANTENNAE fearlessly and unflinchingly tackles a wide array of fascinating and difficult topics. From questioning whether plants possess intelligence, to a double issue dedicated to insects, to not-so-flattering examinations of how humans interact with the rest of the animal kingdom, ANTENNAE is one of the few publications that could just as easily be cited in a scholarly thesis as brought to the beach for an afternoon read. Just click this back issue to be taken to ANTENNAE’s archives and enjoy! While there, you can also click for the current edition, other information about the journal, as well as the efforts to publish a paper edition. Thank you, ANTENNAE, for allowing the Animal History Museum the opportunity to link to your remarkable body of work.